Tooth implants are a form of dental treatment for tooth replacement. They are artificial teeth consisting of a dental crown and a root that is surgically inserted for them to act like ordinary teeth. Today, most people are opting for tooth implants Los Angeles due to their convenience as compared to other forms of dental tooth replacement. You can get your very own tooth implants from Los Angeles Oral Surgeons. 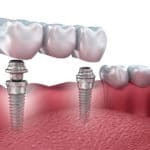 we offer some of the best dental implant services across the whole city. Below are some of the advantages you get by having dental implants. Tooth replacement options usually vary regarding type, strength and even cost. 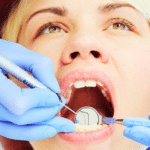 For tooth implants Los Angeles, they have substantial support making them just as reliable as normal teeth. When other tooth replacement options like dentures may be shaky and can sometimes fall off the mouth, tooth implants are completely stuck onto the jaw bone with no possibility of shaking or dislodging. The fact that tooth implants are firmly fixed on the jawbone makes them very convenient when talking and eating. The wearer won’t have to remove them or adjust them in any given case. Tooth implants are available in different varieties. 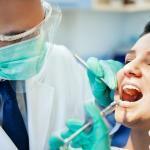 The oral surgeon can help you select what will suit you best depending on your preference. Also, your treatment budget comes into play since some dental crowns are extremely expensive when compared to others. Tooth implants Los Angeles are surgically fitted into the jawbone. In the procedure, the oral surgeon drills a small hole on the gum and jawbone where the implant will be placed. This is followed by surgical and precise insertion of the implant root against surrounding jawbone. As the bone heals, the implant root is permanently held by the healed bone, therefore, acting as a natural tooth. Tooth implants do not need to be removed or readjusted making them the perfect replacement for missing teeth. Unlike ordinary teeth, tooth implants are designed to be tougher and more resistant to staining and discoloring. Tooth implants are also very durable and resilient in that they do not crack easily. You can opt for metallic alloy implants which cannot fracture and may last a lifetime without repair. Tooth implants cannot get cavities. The tooth implant usually has a dental crown that is mostly modeled from ceramic or porcelain. This crown is designed to be resistant to cavities for them to be more durable than ordinary teeth. 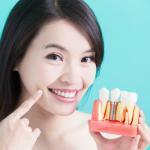 In fact, dental implants in most cases outlast ordinary teeth without the need for repair. When you have dental implants, you won’t have to worry about visiting the dentist for cavity treatment. Los Angeles Oral Surgeons provides various dental crowns for implants to suitably cater for your dental needs. Tooth implants Los Angeles can go for even a decade without the need for repair. Since the dental crown is strong and resilient, the implant can last longer than natural teeth. 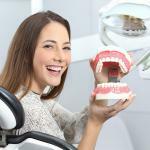 With proper dental hygiene, dental implants may not need to be repaired at all. Need a Tooth Implant that Looks and Feels Real?